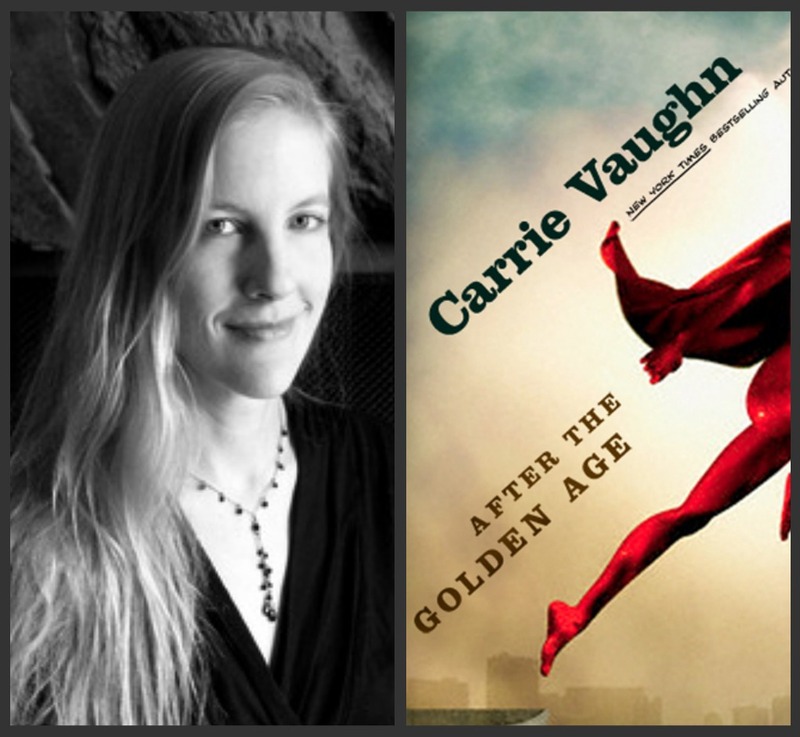 Carrie Vaughn is the New York Times bestselling author of the Kitty Norville series. Byrt: After the Golden Age is a truly fantastic love letter to classic comics (I love the Hawk) – when/where did your love of comics begin? What comics influenced you the most, growing up? Were you a Marvel or DC girl? CV: Thank you! I actually came at it all backwards. I fell in love with superheroes from watching all those cheesy late 70’s TV series — Wonder Woman, The Incredible Hulk, The Bionic Woman, and so forth. And the cartoons Superfriends and Spider-man and his Amazing Friends. I didn’t read comics a whole lot until much later. The one comic I did follow was GI Joe, believe it or not. In college I discovered Watchmen and The Dark Knight, and from there I fell into the James Robinson/Tony Harris run of Starman, which was incredible. I’ve dabbled ever since, and over the last ten or fifteen years or so — partially thanks to the nostalgic atmosphere in Starman, partially thanks to some very knowledgeable friends — I became aware of the history of comics, the history of some of the superheroes, how they’ve changed over time, what they mean at different times, and the way writing comics has changed. I love characters from both Marvel and DC. I’ve always loved the stories in which the heroes are clearly friends with each other and talk to each other like actual people, which is probably a big influence on After the Golden Age. Really, I’m a Wild Cards girl. I started reading the series (shared-world anthologies edited by George R.R. 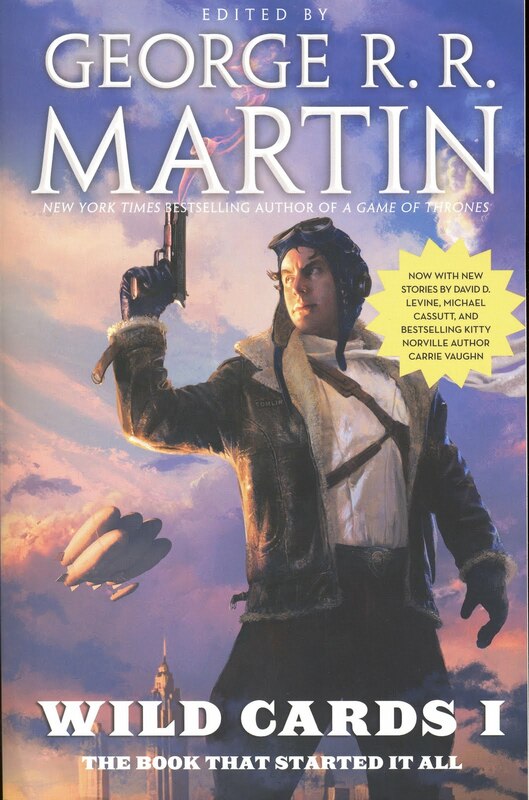 Martin) in the late 80’s, when it first started, have read every single book, comic, and role-playing game, and now I’m writing for the series, which is just awesome. So, it isn’t the comics themselves I’ve been in love with so much as the idea of superheroes, which really is the defining mythology of the modern era. Byrt: When did the idea for a comic-paradigm-inspired-but-original comics-style-novelization first start tickling your brain? Was there any particular issue/series/movie that started you down this road? CV: I really do think it was a culmination of twenty years of being in love with superheroes. I wanted to write a story about superheroes, but I decided not to make the main character a superpowered person herself because I didn’t think I could be very original if she was. I originally wrote this as a short story that appeared in a small zine, but I loved the characters so much that the story kept growing. The novel bears no resemblance to the story except in the names of the characters, and maybe the very basic idea of looking at the nature of heroism and where heroes come from. Since I was never strictly a comics reader, writing a novel came more naturally. Byrt: Was it a hard line to walk, writing a homage to classic comics without straying too far into caricature/archetypes? Did you ever worry you were going to offend comic books fans by getting too close to a beloved favorite? CV: Not really, because I think my own love of the genre comes through. Or at least my affection for it. It’s definitely a homage that blurs into pastiche in many cases — there are definitely some correlations people can make with beloved comic book worlds and characters. But that’s purposeful — I wanted to be very sure the world of Golden Age looks like a traditional comic book world, with all that it entails. I also wanted to be silly enough that I could have my main character point at some of these things and comment on them. 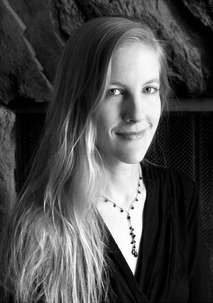 Celia as a character is uniquely suited to commenting on her world. Byrt: What would you say to people who compare your book to The Incredibles? Do you mind the comparison? Byrt: And I have to ask – was the West family name at all a shout out to Adam West? CV: Subconsciously, I think it was, though I didn’t think of it at the time. I wanted a name that sounded good, that was alliterative in the way that classic superhero secret identity names always are, and Warren West is what popped up. West is great because it sounds iconic — no matter what I used it for in the book — West Plaza, West Corp, Celia West — it sounded good. Byrt: Given the way the press operates in your book – idealizing Celia’s parents, vilifying Celia for her past – I couldn’t help but wonder, were you slyly poking fun at the way the press today is so partisan/polemic? Or was it strictly a play on how real life people contrast with their public facades, especially when it comes to heroes and villains? CV: Both? The press has always been a part of superhero stories and comics. I mean, Clark Kent works at the Daily Planet as a reporter. And would Spider-man be Spider-man without Jonah Jameson? I definitely wanted to show Celia’s frustration with how people see her parents differently than she does, because everyone else only sees their public face. As far as poking fun at the press, I think I wanted to show the hunger for story — no fact is too small, no detail too innocuous that they can’t spin it into a story. Byrt: Was Celia always an accountant, or did you consider any other spectacularly ordinary careers for her? And did you avoid giving her the classic law enforcement career on purpose? CV: She was always an accountant. I worked in an accounting office for 8 years, and my mother’s a CPA, so it’s always been there. I’ve been familiar with forensic accounting ever since my mother discovered an embezzling ring in a firm where she was hired as a bookkeeper. It was just perfect. I thought that having an accountant hero would be incredibly subversive. Accountants are boring — the opposite of hero, right? So how awesome, to have the daughter of these great heroes be an accountant? How disgusted would they be? But accountants are heroes. Who busted Enron? Who busted Al Capone? Accountants know where the bodies are buried. My CPA mother fought crime as an accountant! It’s awesome, and counterintuitive, which made it a great thing to play with. Byrt: If someone who has never read comics before asked you where they should start, what would you steer them towards? CV: That’s a tough one — as I said I’m a bit of a dilettante when it comes to comics. And superhero stories have so saturated popular culture, anyone asking that question wouldn’t be coming into it completely ignorant. Of course I’d recommend the books that are considered classics — Art Spiegelman’s Maus, for example, as well as Moore’s Watchmen and Gaiman’s Sandman. I love Kurt Busiek’s Marvels, which tackles Marvel continuity as a whole, through the eyes of a non-powered photojournalist. What I’d really do is ask this person what kind of stories and characters they like, and steer them toward the books that would appeal to their specific tastes. I might recommend Girl Genius to one person and Hellblazer to another, for example. Byrt: It has been impossible to miss the many, many comic adaptations Hollywood has been churning out recently – what is your absolute favorite? And which one do you absolutely loathe? CV: I loved the first Spider-man — it made me want to go swing from buildings myself. I loved the first two X-Men movies. I loved Iron Man and Batman Begins, but I didn’t much like The Dark Knight, which I know makes me a heretic. What disappoints me are the ones that should have been so much better than they were, if they’d had better writing and tighter plotting — the two Hulk movies, for example. What I really wish is that we could get a good superheroine movie out there. Unfortunately, we have Elektra and Catwoman instead. Byrt: And lastly, what other projects do you have on the horizon? Will there be Steel or Golden Age sequels? And what will Kitty be getting up to next? CV: Well. So many projects. I don’t think Steel will ever have a sequel. 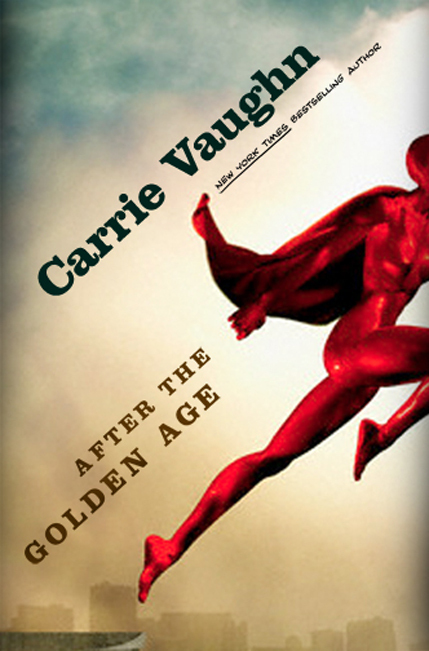 I do have something in mind for Golden Age, but it’s still percolating. Kitty’s next adventure, Kitty’s Big Trouble, will be out in June, and the long-awaited Kitty short story collection, Kitty’s Greatest Hits, is due out in August. I have a couple more Kitty books planned, and am putting together my next young adult and stand-alone projects. I always have something cooking, which keeps life real interesting! And keeps us fans happy :). Thanks again to Carrie for stopping by the BookYurt! For more on Carrie, you can find her website here. It always makes me happy when legitimate and respectable authors know comic books. I have read a few of your books now, and so far my favorite is Discord’s Apple, but I have not got Steel or this new one yet. I can’t wait. Going into it knowing that you know comics makes me anticipate it even more. I loved this book! It’s hard to discuss without getting into spoilers. It’s mostly about showing you the world around a superhero world- superheroes’ kids, retired superheroes, and the behind the scenes of the action. I love that it’s a story about the kind of bravery someone has in the face of what happens to her, in contrast to the typical superhero story of heroes who go out and choose to act.